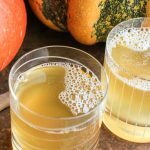 Where are my pumpkin spice kombucha fans? Now you can make your own at home! Even though we have already woken up to snow on the ground a couple mornings, the fall flavors are still in full swing in our house. And what is fall without pumpkin spice everything?! Truth be told, I lost my taste for pumpkin spice lattes a long time ago. But, I’ve always loved pumpkin pie and I love pumpkin pie spice in my overnight oats. So, I figured why not try it as a kombucha flavor? 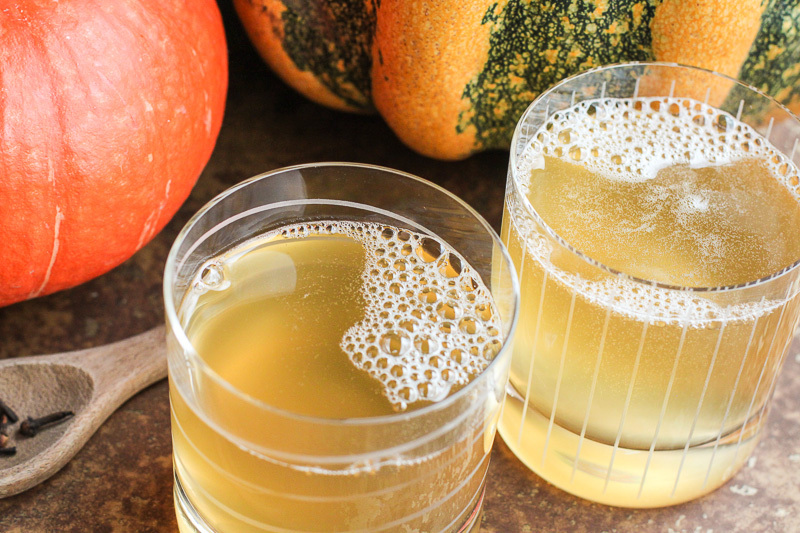 Enter Pumpkin Spice Kombucha! This post contains affiliate links. Thanks for supporting The Wild Gut. Add all ingredients to a grolsch style glass bottle and cap. Then slowly flip upside down a few times to combine. Leave at room temperature for seven days to allow the pumpkin spice flavor to fully develop. I recommend ‘burping’ the bottle every couple of days. After seven days, move to the refrigerator until you’re ready to drink. Before drinking, pour the kombucha through a fine mesh strainer to filter out the puree and spices. If you are serving to friends and want to dress it up a bit, crack some cinnamon sticks for garnish or line the rim of the glass with cinnamon and sugar! Yum! 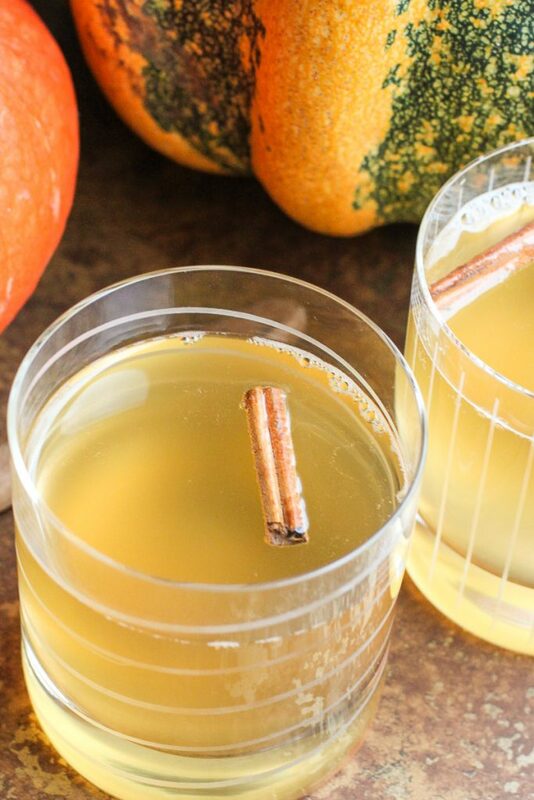 We hope you love this fun way to drink kombucha and celebrate the flavors of fall! How closely does this taste to the familiar pumpkin spice everyone is used to? 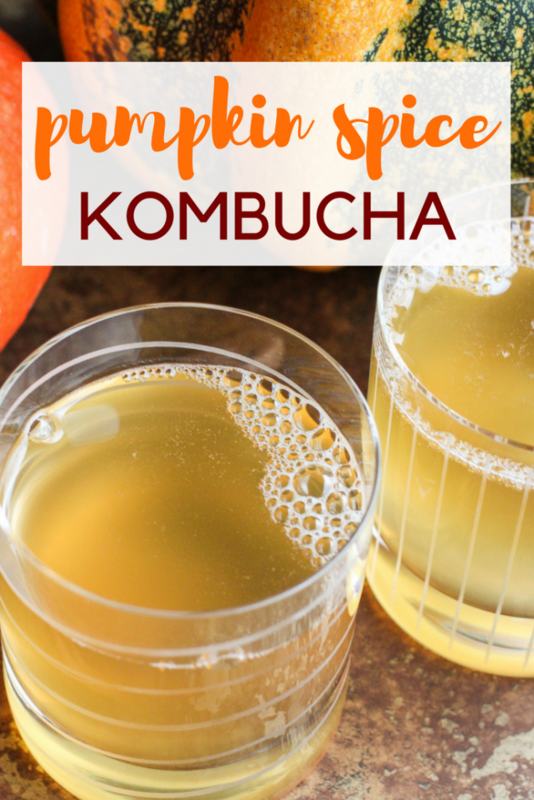 I’ve never imagined trying pumpkin spice flavored kombucha! That sounds so interesting. How much of the puree flavor transfers over after a week? Thank you so much for sharing!